A giant in the world of polling. 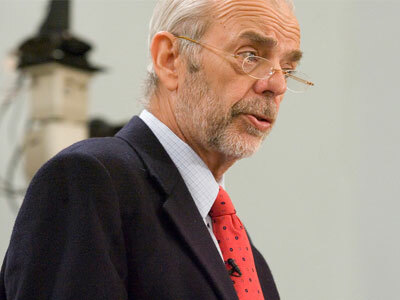 When Pew Research Center founder Andrew Kohut passed away yesterday at the age of 73, the outpouring of tributes and remembrances reached far and deep. Those who had known and worked with Kohut honored him both for the work that he did and for the type of man that he had been. Andy Kohut, through the company he created and ran with his wife, Diane Colasanto, and through his work for Times Mirror and Pew, was not just the gold standard for public-opinion polling—he was the platinum standard. Andy knew everything about the realities and problems with polling. He insisted on rigid standards, and honed the questions and survey formats to be as accurate and as utterly objective as possible. He used some of the resources at Pew to examine what kinds of instruments work and don’t work in surveys, and to keep the industry as honest and competent as possible. There are good pollsters and good polling organizations out there, and a lot of smart and conscientious people in the profession. But no one, frankly, came close to Andy—and no organization even begins to rival the Pew Research Center he built. But we always thought of Andy as ours. Because for decades, he was NPR’s on-air and in-house expert on the mind of America. And we called on him often — more than 500 times, in fact. We called him our public opinion consultant and analyst, which meant election night was always Andy Night at NPR. From the Age of Reagan to the Era of Obama, Andy was The Man. And he was the man to see, as soon as the data started rolling in. Because, while always disguised as a mild-mannered reporter, Andy seemed to have superpowers. Perhaps more than any other single pollster, he could tell us where we had come from and where we were headed. What did we appreciate most about Andy here at the NewsHour? He valued context. As a pollster, he knew the questions mattered. But as an analyst, he knew the answers mattered more. He did not assume ill will of any political party, and had a built-in bias against bias. He fit right in here, and spent hours with us on election nights and at political conventions making sense of it all. We were so fortunate to have him as part of our family, and we will miss him terribly. RIP Andy Kohut. Thanks for helping us understand American politics so much better, and for your patient willingess to aid reporters like me.